Many people think that because they are eating healthy and dieting, that they cannot enjoy great barbecue. There is nothing that could be further from the truth, if you have the right recipe. 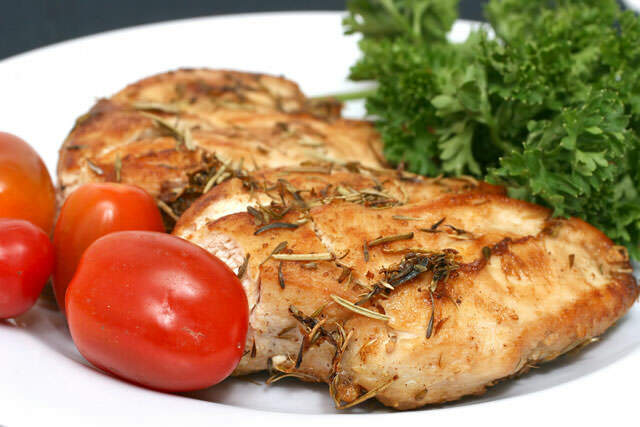 Like this ultra-simple one for grilled chicken breasts which you can combine with a nice salad or healthy salsa. You can also exchange the parsley for oregano or basil. Preheat the grill to medium-high and oil the grate lightly. Dunk chicken breasts in lemon juice and then sprinkle with salt, pepper, onion powder and parsley (or one of the alternatives). Let the excess lemon juice drip off. Place the chicken on the grill and cook for 10 to 15 minutes on each side or until it gets white on the inside. Make sure not to overcook the chicken.